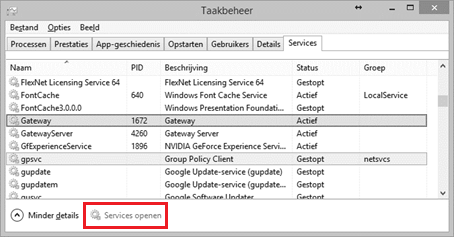 Cause: the service ‘Gateway’ is not running. Open Task Manager ( CTRL + ALT + DEL or right mouse click on the Windows bar). Find the service ‘Gateway’ > right mouse button > ‘Start’. The Status should be ‘Started’. You see the error: Windows could not start the Gateway service on Local Computer. Error 2: The system cannot find the file specified. You see the error: Unable to complete the operation. The dependency service does not exist or has been marked for removal. The service seems ‘started’ for 0.5s, then it jumps back to ‘stopped’. Diamonds/ PowerConnect will continue the start-up process. 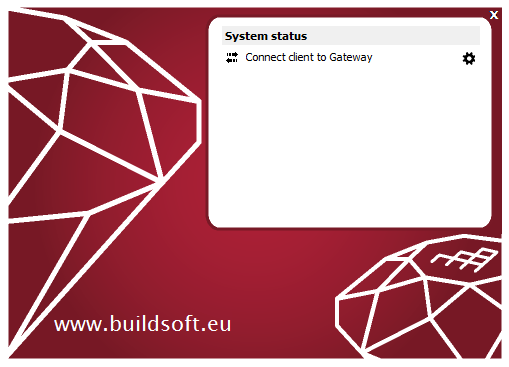 You still see the message: ‘Connect Client to Gateway’. Try the following in sequence! Try to start the services in console. If the above didn’t help, Gateway is not well installed. Uninstall it and reinstall it. How it is done, is the same as here.